You are becoming a more masterful coach, taking classes, learning and becoming and coaching people to greatness and getting results. You are really living your dream life. And while you are living the greatness dream you are really showing up in the world as a coach. You are known as an expert in your area. Everyone knows who you are and what you do. You are taking visibility actions daily, aren’t you? You are certain and feel empowered by how you show up out in the world and not just how you show up in session, don’t you? It is time to be visible!!! Welcome to the TEAM CoachVille 30 day Visibility Challenge. 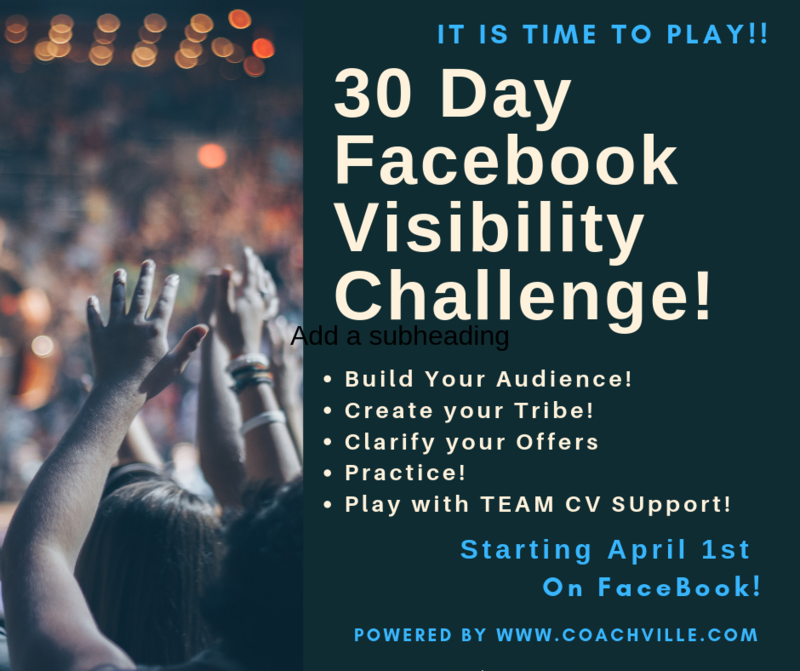 The TEAM CoachVille 30 day Visibility Challenge is open and complimentary for any coach to play along. It will be hosted on the CoachVille Facebook Page so it’s easy to join and play along. The Challenge begins April 1st and will end April 30th. It is simple to play along! 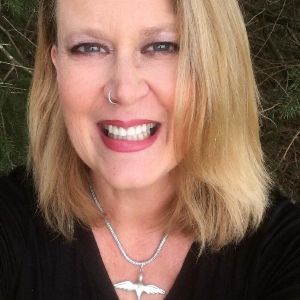 Every day at 9:30 am Eastern a Facebook post with a challenge, action or quest will appear. Participation is simple, take action and share your experience in the comments section. Share with the spirit of generosity, playing together, as a team is always more fun, and also a supportive tribe of like-minded action is inspiring. It’s simple. If you’ve already “liked” the CoachVille Facebook page you just head to the page daily and look for the days challenge action and play along! 2. Just under the CoachVille Banner, you see a button, “Following”, hover over the “Following” and a drop-down menu appears. 3. To see CoachVille Posts at the top of your news feeds choose the “See First” option. 4. Also, if you want to receive notification of our Facebook posts, you can also choose this option in the same menu. If you are new to our Facebook page, here is the link to get you started! And ANYONE can play, so invite your colleagues and fellow coaches to play along. You do not have to be a CoachVille member or student to participate. The more the merrier! It’s time to build the coaching practice you dream of, its time to get visible!